James began his martial arts journey in 1987 at the age of 10, studying a form of American Karate called Aam-Ka-Jutsu. The focus of Aam-Ka-Jutsu was to use the most effective techniques from all of the various martial arts. James trained with the ACK “Aamerican Colleges of Karate” in Kent, Washington for nearly 10 years. During this time James achieved the rank of 1st Degree Black Belt in Aam-Ka-Jutsu. In 1996 James had his first experience training in Brazilian Jiu-Jitsu (BJJ) at Mohler Jiu-Jitsu and Mixed Martial Arts in Irvine, Texas. It was at this time that he met his life long friend and mentor Allen Mohler, and decided to shift his focus to training BJJ upon his return to Washington State. At the time the seeds of BJJ were just being planted in the Seattle area. Steady instruction was hard to find for more then 1-2 years at a time. Fortunately, this turned into a blessing in disguise for James, who gained the opportunity to train and hold rank under several world class instructors from many different BJJ affiliations including Allen Mohler (Alliance Jiu-Jitsu), Marcelo Alonso (Carlson Gracie Team), Marcio “Mamazinho” Laudier (Gracie Barra), Giva Santana (Lotus Club Jiu-Jitsu), and Juliano Prado (No Limits MMA). In 2003 James became an affiliate of Lotus Club Jiu-Jitsu and began his career as a Brazilian Jiu-Jitsu instructor at the rank of Purple Belt. At a seminar in March of 2004 James was promoted to the rank of Brown Belt under Lotus Club Jiu-Jitsu. 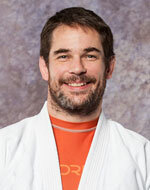 In October of 2005 James achieved the rank of Black Belt in Brazilian Jiu-Jitsu. 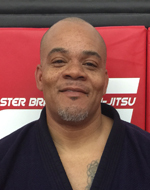 He is the proud owner and head instructor of Foster Brazilian Jiu-Jitsu in Kent, Washington and currently holds the rank of IBJJF & USBJJF certified 3rd Degree Black Belt under Giva Santana and One Jiu-Jitsu. At the age of 54 years old Rick is a life long martial artist who holds the rank of 4th Degree Black Belt in Aam-Ka-Jutsu, Second Kyu Brown Belt in Aikido (USAF), and a Black Belt in Brazilian Jiu-Jitsu (One Jiu-Jitsu). Rick wrestled for 6 years and is a practitioner of Boxing. 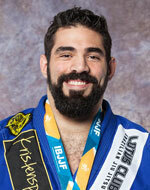 He also holds certificates of completion for referee training under the IBJJF and CNP. 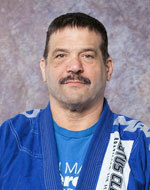 Rick is an avid competitor and his most notable competition credentials include a Bronze medal in the 2005 Pan American Jiu-Jitsu Championships, double Gold medals in the 2010 Pan American Jiu-Jitsu Championships, two Silver Medals at the 2011 Pan Jiu-Jitsu Championships, a Gold and Sliver medal at the 2012 Master & Senior World Championships, a Gold and Silver Medal at the 2013 Master & Senior World Championships as a Black Belt, and most recently two Gold Medals at the 2014 Pan Jiu-Jitsu Championships. Rick is a cornerstone of Team Foster, instructing and mentoring students in classes throughout the week and holds the rank of 1st Degree Black Belt under Coach Foster and Professor Giva Santana. Thad is a long time friend and training partner of Coach Foster who has been around since the beginning of the Pacific Northwest BJJ scene. He displays an attention to detail which shows through to everyone that he teaches. Thad currently runs Foster BJJ’s affiliate program at Ring Sports United in Bellevue on Monday and Wednesday evenings at 6:30pm. 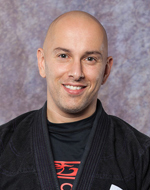 Thad holds the rank of 1st Degree Black Belt under Coach Foster and Professor Giva Santana. 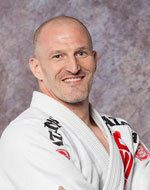 Bobi has been a student of Foster Brazilian Jiu-Jitsu for many years now. He is a very talented boxer as well as an accomplished Brazilian Jiu-Jitsu practitioner. He is a very skilled instructor who has the ability to make learning fun while teaching to individuals of all skill levels. Bobi holds the rank of Black Belt under Coach Foster and Professor Giva Santana. Michelle is a long time pioneer of the local BJJ scene and was one of the first women to be promoted to Black Belt in the Pacific Northwest. 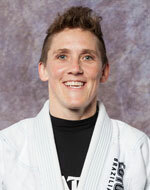 She currently shares her passion for Brazilian Jiu-Jitsu with our Kid’s 7-14 age group on Mondays and Wednesdays. Michelle holds the rank of 3rd Degree Black Belt under Professor Giva Santana and Coach Foster. Elena is one of the most driven, passionate, and inspirational people you will ever meet. She has adapted the principles of Brazilian Jiu-Jitsu to better her life both on and off the mats, including authoring her own book “Flowing with the Go: A Jiu-Jitsu Journey of the Soul”. 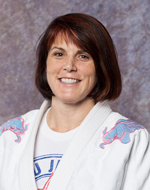 She currently teaches our Women’s Jiu-Jitsu class on Thursday evenings at 5pm and holds the rank of Purple Belt under Coach Foster. Jason is one of the most dedicated students of the art you will ever come across. He normally trains 5-6 times per week and is always trying to make improvements to his Jiu-Jitsu. He currently teaches Monday, Wednesday and Friday morning classes. Art has over 23 years experience in a variety of martial arts including Karate, Boxing, Wing Chun, Kempo, and Brazilian Jiu-Jitsu. He also has over 26 years of experience leading security teams for businesses and night clubs. Art has a special talent for showing students how mixed martial arts techniques translate to real time scenarios in every day life. Through the MMA class he teaches on Saturdays, students get an opportunity to work their Brazilian Jiu-Jitsu skills in a No Gi environment. Additionally they practice striking fundamentals, as well as stand up sparring and practical real world self defense techniques. You will sweat more than ever in Coach Art’s class, however you will also laugh at the same time thanks to his fun loving sense of humor! He holds the rank of Purple Belt under Coach Foster and is also a 5th Degree Black Belt in Karate.